Matula Tea removes ALL traces of H.pylori bacteria from your digestive system. Helicobacter pylori is a hardy spiral shaped bacterium which multiplies and colonizes in your digestive system. Given the makeup of this incredibly destructive bacteria, you will see how it’s clever design enables it to survive in hydrochloric acid (the acid your stomach produces to break down food), and then to penetrate the lining of your stomach. Because of their corkscrew shape, the bacteria can easily penetrate the stomach’s protective mucous lining. The ‘antacid’ effect of H. Pylori fools your stomach into producing more acid, which then makes your stomach lining more susceptible to damage through exposure to acid and pepsin. Too much acid and pepsin is even more damaging when the stomach lining has been penetrated and left unprotected by the effects of H. pylori colonization. In 1982, two Australian scientists, Dr Barry Marshall and Dr Robin Warren discovered that stomach ulcers were actually caused by H. Pylori. The New York Times published an article in 1984 by its medical correspondent Dr. Lawrence K. Altman on the link between H. Pylori and Peptic Ulcer disease. He stated in 2002, “I’ve never seen the medical community more defensive or more critical of a story”, and he had been with the paper since 1969. It took a total of 23 years for Dr Barry Marshall and Dr Robin Warren to convince the medical profession to acknowledge and embrace their breakthrough discovery, and they were eventually awarded the Nobel Prize in Physiology or Medicine in 2005 for their work on H. Pylori. The story of Dr Barry Marshall and Dr Robin Warren started nearly 23 years before they won the Nobel Prize. After years of intensive research, their discovery which established the link between an infection of H. Pylori bacterium and stomach ulcers, was finally made way back in 1982. Supporting evidence of the link between the H. Pylori bacterium and stomach ulcers quickly strengthened over the next 10 years. Many studies from around the world also confirmed without any doubt that there was a presence of the H. Pylori bacterium in most people suffering from peptic ulcers. 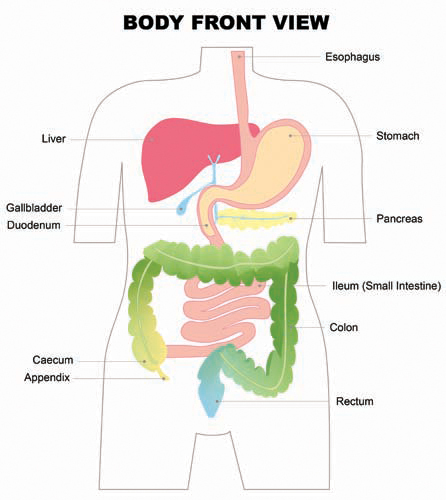 The concept of stress and diet being the cause of peptic ulcers was so firmly entrenched in the medical professions mind set at the time, that they could not bring themselves to believe that a bacterium could possibly be the cause. This newly discovered fact completely rocked common medical beliefs in those days. Nobody believed that H. Pylori could survive in the acidic environment of the stomach, because the stomach was supposed to be kept sterile by the natural presence of aggressive gastric juices (hydrochloric acid). To disprove the belief that H. Pylori could not survive in the acidic environment of the stomach, Dr Barry Marshall performed an experiment on himself in July 1984 that for ethical reasons he could not ask any healthy person to do. He was first checked for bacterial infection and tested negative. He then swallowed a 3 day culture of H. Pylori. As he expected, seven days later he started feeling sick with headaches, nausea, episodes of vomiting and really bad breath. Although he didn’t develop an ulcer, he did suffer from gastritis (stomach inflammation). After ten days, tests showed that the H. Pylori bacterium had established itself in Dr Marshall’s stomach. After 2 weeks, Dr Marshall began taking an antibiotic and he was back to normal within twenty-four hours. His bold experiment was a success as he had proved that a healthy person could easily be infected by H. Pylori. By the 1990’s discussions had shifted from the question of whether H. Pylori causes peptic ulcers, to questions on how it causes ulcers and how it can be eradicated. Thus, the theory of the unbelievers had been broken – they had argued that people with ulcers had weak immune systems, and that H. Pylori was only effectively infecting people with ulcers because of their weakened immune systems. Today there is absolutely no doubt that H. Pylori is the cause of 80% – 90% of all stomach ulcers. There is still a lot of discussion on whether it can be the sole cause or if it needs a sidekick, like stress or spicy foods. The bottom line regarding the correlation between of H. Pylori and ulcers is most clearly shown in the recurrence rates after treatment. The ulcer recurrence rate at 1 year is about 10% if H. Pylori is eradicated. And 50% – 60% if it is not eradicated. It’s important to insist on a blood test if you have never been treated for H. pylori before, or an H. Pylori Stool Antigen (HPSA) test if you have already been treated. Because H. pylori interferes with acid in your stomach, you can’t digest food properly. H pylori creates a non-stop stress on your body, making you feel tired. Added to the possibility that you are not digesting your food properly, your body is not getting the correct nourishment to maintain it’s proper energy levels. Because H pylori affects acid levels – which affects the digestive process of fats and proteins especially – you may notice that you are losing weight. The problem is that this weight loss is due to muscle loss, which is a dangerous way to lose weight. It is important to insist on a blood test if you have never been treated for H. pylori before, or an H. Pylori Stool Antigen (HPSA) test if you have already been treated. Correct diagnosis is critical, and CORRECT re-testing after treatment (to make sure the treatment has worked) is even more important. Yet patients are literally throwing their money away by paying for the wrong tests which are still being widely used to test for the presence of H. pylori. Most Doctors spend more time treating the negative effects of Triple Therapy, than they do treating the original H. pylori infection. H. pylori is becoming increasingly resistant to the most common treatments. Patients who have been on 4 or more courses of Triple or Quadruple Therapy – find that they are still infected with H. pylori. The antibiotics used in Triple or Quadruple Therapies are the direct cause of another major problem, one that conventional medicine chooses not to even recognize… Candida Albicans overgrowth. Almost 75% of the world’s population is infected with the Helicobacter Pylori bacterium. That means that right now over 4.6 billion people are infected worldwide. Up to 90% of all stomach ulcers are caused by an infection of the Helicobacter pylori bacterium. Most people have never heard of H. pylori. 60% of people surveyed believe that ulcers are caused by stress, and nearly 20% believe that stomach ulcers are caused by spicy foods. What other diseases is H. Pylori bacterium linked to? Recent studies show that apart from peptic ulcers, other diseases such as Crohn’s disease, ulcerative colitis, rheumatoid arthritis, and even 50 % of new gastric cancer cases are linked to the presence of H. Pylori bacterium. Another new discovery is that 65 – 70% of people infected with H. Pylori also suffer from Candida Albican Overgrowth, the most probable cause being antibiotic treatments. Even after H. pylori bacteria have been eradicated, H. pylori antibodies may sometimes still be present in the blood for 12 – 18 months after a successful treatment. This means that you will test positive (for antibodies) when you are actually negative after receiving treatment. In view of this, Blood Testing is considered to be the most inconclusive test that can be used to determine if a treatment has been successful or not. DO NOT USE an H. pylori Blood Test AFTER you have been treated! This is because antibodies remain in the blood for between 12 to 18 months after the H.pylori bacterium has been successfully eradicated. In short this means that a Blood Test is only showing what your H. pylori status was up to 18 months before the test. ON THE POSITIVE SIDE if you have NEVER been treated for H. pylori – A Blood test CAN be useful if you suspect you are infected with H. pylori, AND if you have never been treated for H. pylori before. It is safe to assume that if your Blood Test is positive, and you have never been treated before, then you are extremely likely to be currently infected. Obviously this means that you will need to start seeking effective treatment. The breath test is not always available and the results are often inconsistent. This a very expensive test, and our research has shown that this is not the best H. pylori test to go for. The inconsistency of the breath test has been proved when running a breath test concurrently with a H. pylori Stool Antigen test on the same patient. Also known as the HPSA test, this test provides the most conclusive evidence of the presence of H. pylori bacteria. The stool antigen test checks to see if substances that trigger the immune system to fight a H. pylori infection (H. pylori antigens) are present in your feces (stool). Stool antigen testing may be done to help support a diagnosis of a current H. pylori infection or to determine whether treatment for a H. pylori infection has been successful. We recommend this test after you have been treated – it produces a very accurate result of your H. pylori status. Clearly the HPSA test is the safest and most accurate of all H. pylori tests. – Results from the urea breath test or a stool antigen (HPSA) test are generally available within a few hours. – Results from a blood antibody test are usually available within 24 hours. – Results from biopsy samples obtained by endoscopy usually available within 48 hours. – Results from a biopsy sample that is cultured can take up to 10 days. How can H. Pylori bacterium be eradicated? Unfortunately, the bacterium is not easy to eradicate. There is no single antibiotic that can do the job alone, so multiple antibiotics in conjunction with proton pump inhibitors (PPI’s) such as Nexium and Prilosec, are being prescribed. No matter what drug based treatment that has been prescribed – fact is that there will be a group of negative effects that the patient have to contend with. Many people have such bad reactions that they are forced to stop their treatment prematurely. One has to look at natural remedies if one wants to avoid any negative effects. Natural products are toxin free and known to be very gentle on your body. Want to clear H. Pylori for good - naturally? If this describes where you are at right now, then you will be happy to read that it is now possible to remove all traces of H. pylori from your digestive system with a single course of a clinically proven 100% natural herbal solution – and that this can be done without any negative effects.